When you want to redo the flooring in your entire home, or just a single room, there are many decisions you have to make! One might be whether you want carpet or hardwood flooring. There are certainly a lot of benefits of both options! To help you with making the call, we're going to provide some benefits, and a few downfalls, of both of these flooring options. Enjoy! When you get up in the morning, you won't have to worry about getting out of bed in the morning and suffering the cold kiss of the floor on your feet. Instead, you'll remain comfortable and wake up with coffee and breakfast rather than the shock of a cold floor. Carpet is also soft and comfortable, making it nice to walk on. With the cushion, carpet is gentle on your feet. This is an ideal choice for playing children, sitting or even standing on for longer periods of time without causing problems for your joints. Generally speaking, carpet tends to be a lot less expensive than hardwood options. Some carpeting can be found for as low as $1.00 for each square foot. So if you're looking for a more budget-friendly option, carpet is definitely the way to go for comfort and ease. Whether you have smaller children or just tend to be accident-prone, carpet can provide an added safety that you won't get with hardwood. As a result, those who trip and fall will have less of a chance of sustaining serious injury and objects that fall will be less likely to break. Many of us are aware that some of the harder flooring types can be creaky, or certain types of shoes can make clicking or shuffling sounds on them. With carpet, you won't have to worry about that noise as it muffles the sounds of things upon it. There can be a few potential issues to consider if you choose to go with carpet. The first is that it does have the possibility of becoming stained more easily than hardwood flooring. However, you can usually address the pretty easily through the color of carpet you choose. Read also our article about How Much Does It Cost To Carpet a 10×12 Room In 2019? In addition, you'll want to consider whether or not carpet is the ideal option for a household with pets. 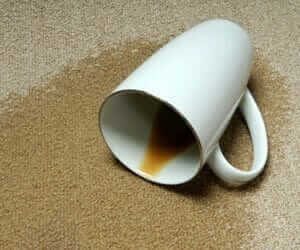 Animal messes can leave stains and odors in the carpet, resulting in the need for frequent cleaning. Pet claws can also pull up areas of the carpet, leaving it looking less than ideal. 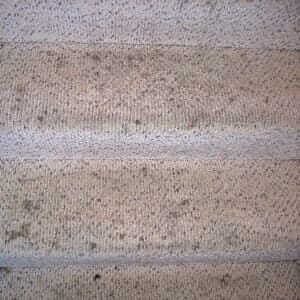 You should consider to buy a right carpet cleaner for pets. No one can deny that a quality hardwood floor can provide a great overall look. This is especially true if you combine the tone of the wood with your furniture to create an overall design scheme. As a result, this is the ideal option for those who have a keen eye for style. 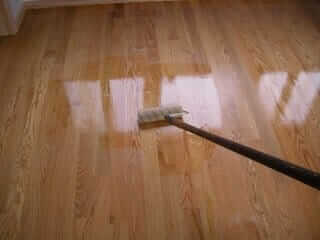 Another aspect many people love about hardwood flooring is the ability to clean it more easily. It's the case for hardwood floor vacuum for example. Crumbs, dust and other bits of debris are less likely to get stuck as they would in carpet and after years of use, it can be refinished if it has sustained damage. There are many who also prefer wood due to the more sustainable, natural aspects. Wood can be regrown pretty easily, and you won't have to worry too much about harsh chemicals if you look for options with eco-friendly finishes. Just make sure you do your research to get what you need. When you have hardwood, you can pretty much choose to dress it up however you want. You can leave the floors bare or choose to create a softer look with the help of a rug, floor runner or other addition. This also allows you to change up the style whenever you want. There's also an elegance to wood that many people appreciate. It's one of those simple types of flooring that won't fade out with current trends. As a result, you won't need to worry about replacing the flooring for the sake of keeping up with the styles of the time. The downsides to hardwood can be a bit more obvious than they are with carpet. For example, hardwood is often one of the more expensive options out there which means you'll need to be prepared to dish out the cash. However, they can also increase the value of your home overall. In addition, hardwood floors aren't always the best choices for homes with children. This type of flooring tends to be rather hard, which may not be the best for small children who may fall down more frequently. It's also often cold, so you may want to make sure you wear slippers in the morning! I find it interesting when you said that getting a hardwood floor will help it complement with the room’s design, including the furniture. In my opinion, one should have this installed by a professional flooring service. 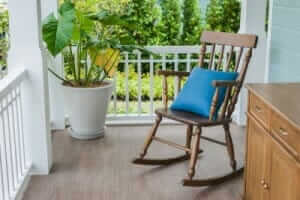 With their help, they can keep a home low-maintenance while preventing dust and dirt to cause allergy attacks indoors.